The Ultimate Guide to Property Division during a Tucson Divorce! Here’s what you need to know about how property division is handle during a Tucson divorce settlement! As if contending with the dissolution of your marriage wasn’t hard enough, you also have to think about dividing up your property. That includes the marital home that you spent years working hard to save up the down payment for and that you spent many more years building your life together. It can be hard to let go of all those family memories — the place where your children took their first steps, the place where you spent many Christmas mornings together, the place where you marked your children’s height as they grew. You have a lot more invested in this property than just your money. Working with a Tucson divorce lawyer or family law lawyer can help you understand your rights and responsibilities regarding property division during your divorce. A lawyer can also help you fight for what you want in the settlement. But educating yourself about Arizona laws can help you understand what to expect when you meet with your attorney. Arizona is considered a “community property” state. That means that any property you and your spouse acquired during your marriage belongs to both of you equally. When you divorce, those assets should be divided equally between you. If it’s a house, that could mean selling the house and splitting the profit or having the house evaluated so that one spouse can buy out the other or trade other assets for that value. Community property doesn’t just refer to real estate. It also includes automobiles, boats, stocks, bonds, retirement accounts, and cash savings. The law does not differentiate based on how much each spouse contributed to acquire those assets. Therefore, if one of you made more money than the other in your job and brought more money into the home, you both still have a 50 percent stake in your property. If one of you stayed home while the other worked, you both still have a 50 percent stake in your property. A primary exception to this rule is if you signed a prenuptial agreement before you were married, and the agreement assigns certain property to one spouse or the other. If you signed a prenup and now want property that the agreement doesn’t afford you, a divorce lawyer may be able to find fault with the prenup to invalidate it, thereby granting you rights to the community property. Some property can be considered separate depending on when and how it was acquired. For example, any property that you purchased before you were married or after you filed a petition to end the marriage is considered separate. You will have rights to keep those when you divorce. Some property is also considered separate even if you acquire it during the marriage. Examples include inheritance, profit earned from property owned separately, anything you purchased with that profit, personal injury award, and federal benefits. In some cases, property will not be divided by the court but will be awarded to both spouses as tenants in common. Under this designation, both spouses hold an equal interest in the property. Other property can be classified as “quasi community property.” This refers to property that was acquired by an individual spouse outside Arizona that would be considered community property if it were acquired inside the state. Debts are also considered community property. That means that any debts you or your spouse acquired during your marriage will be the responsibility of you both to pay. Community property can be leveraged to pay those debts. If one spouse has a separate debt — one that was acquired before the marriage, for example — the separate property of the other spouse cannot be used to pay it. Arizona law holds that that spouse’s share of the community property can be leveraged to pay that debt. If a spouse incurs debt outside Arizona during the marriage, community property can be used to fulfill it. The debt is treated just like property in the quasi community property law. It is very important that you work with an experienced family law lawyer to discuss the property and debts you acquired during your marriage. Your divorce lawyer can help you understand your options for satisfying debt. For example, if you and your spouse are found to be jointly responsible for a debt, it may be better for you to pay it entirely and then collect reimbursement from your former spouse. That way, you can pursue legal action if your spouse doesn’t pay, rather than seeing your credit score be destroyed. Dividing the stake in a business is much more complicated. The actual value of the business is not the only thing to consider. There is also the estimated value based on long-term profitability. There is also the evaluation of who is able to run the business best. You both may have owned the business, but only one of you may have been involved in the day-to-day operation of that business. A settlement may involve the sale of the business, or it may order the one spouse gets to retain ownership of the business while the other is entitled to take a salary or a return on the investment, like stock dividends. Whether you just own a home together or you have a full investment package that includes a business and numerous stocks, dividing your assets in a divorce can be tricky. 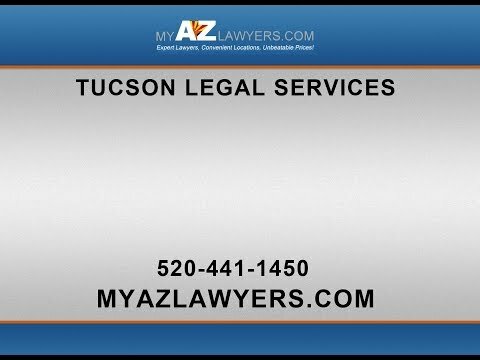 My AZ Lawyers can help you find the right Tucson lawyer to walk you through the process and to fight for the settlement that you deserve. A family law lawyer can handle every aspect of your divorce, from the division of assets to the awarding of alimony and child custody. Divorce is never easy, but working with the right Arizona divorce attorney can make the process a little more manageable. Contact us today to see how we can help you.